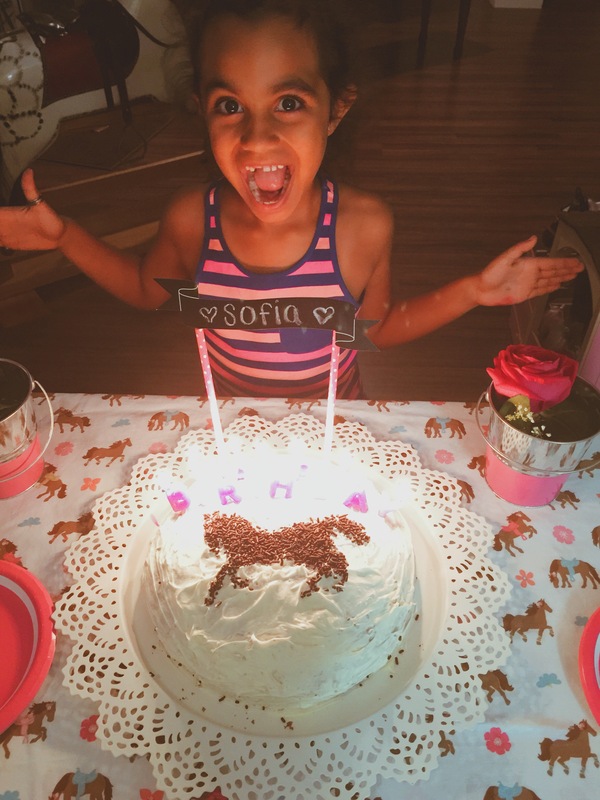 Sofia turned SEVEN last week and I can’t help but look back at my little sisters #7 celebration! 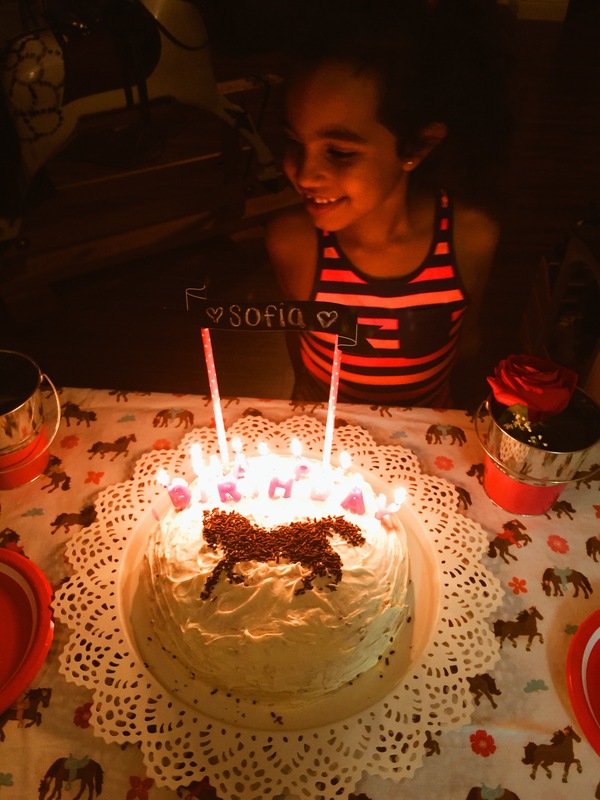 It was definitely a family affair full of surprises for our little Sofia! This year her birthday fell on a week day.. and we all know that a weekday birthday for a little one is no fun! lol But thanks to big brothers and sisters, we would take care of that and make sure it was a day full of fun for her! Unlike many little seven-year old girls, my sister is no fan of princesses, pink nor sparkly…(She kinda takes after me on that..woops) What she is a fan of and a HUGE fan of on that note, is horses! The love she has for them is overwhelming… Overwhelming in the sense that it’s this good emotion, that consumes you with love and a smile when you see her eyes light up when she sees one or is riding them in lessons. It fills me up with joy honestly. So what better way than to celebrate with some horses on her special day! I wanted to surprise Sofia.. 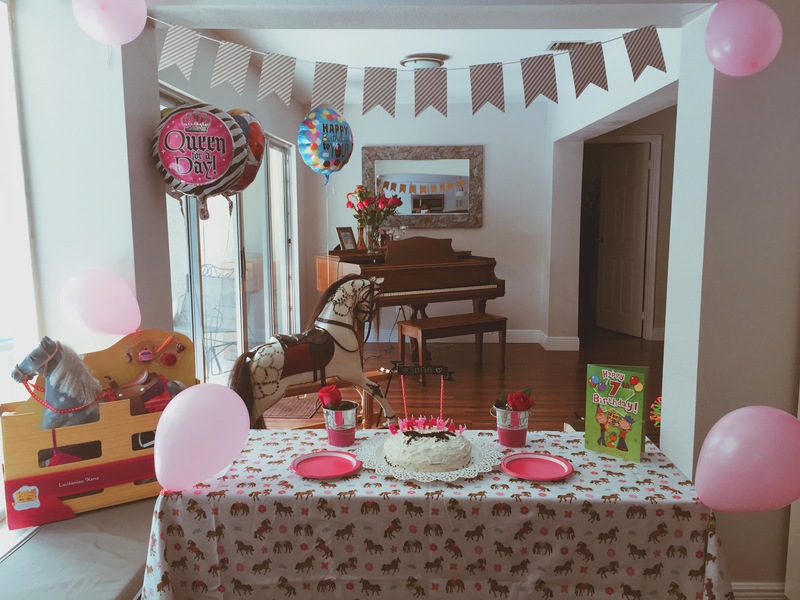 So my plan was to set up a little cake table while she was in school so that when she’d get home, it was her birthday surprise! Well, that’s exactly what I did… The night before I had seen a couple of ideas online to incorporate horses and well my first task was a cake. A simple cake, with a silhouette of a horse. Let me start off by telling you this… I’m NO baker.. but I try! lol So a boxed cake would do, lol. Let me humor you all… the first cake?… well it fell apart while I was taking it out of the baking pan… sigh. But thank goodness for my honey! He’s so sweet…because I wasn’t having the greatest day and when I saw the cake fall apart, I almost went into tears. Luckily for me, I have the best fiancé ever… He took me to the grocery store and made me try again! So cake number 2? Success! 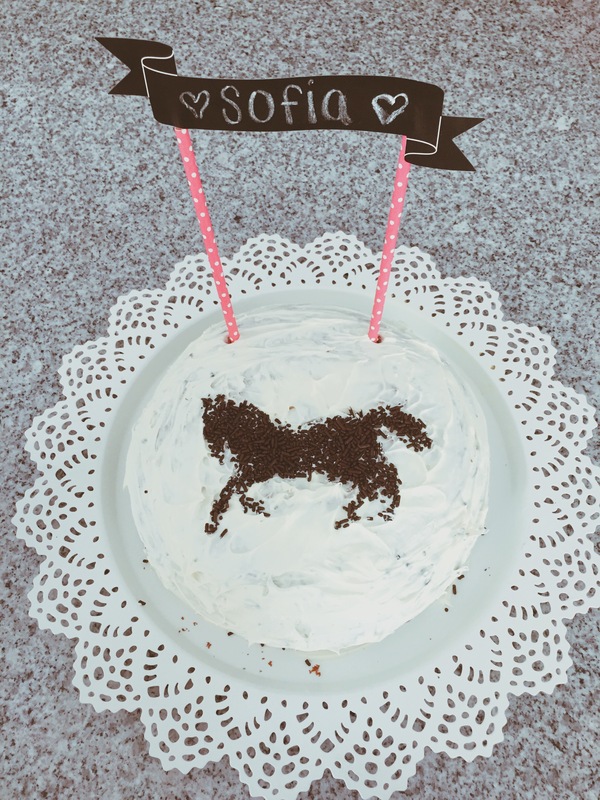 lol Easiest thing to do was decorate the cake… Some cream cheese frosting and a chocolate sprinkled horse silhouette! A couple of goodies from target and I was ready to decorate the next morning before she came home from school! I was so excited to share these photos with you all, not only because I was proud of how our sweet little set up turned out but most importantly because of the smile on our sweet little sofas face! It was priceless! I can’t wait to share more birthdays with my little sister! 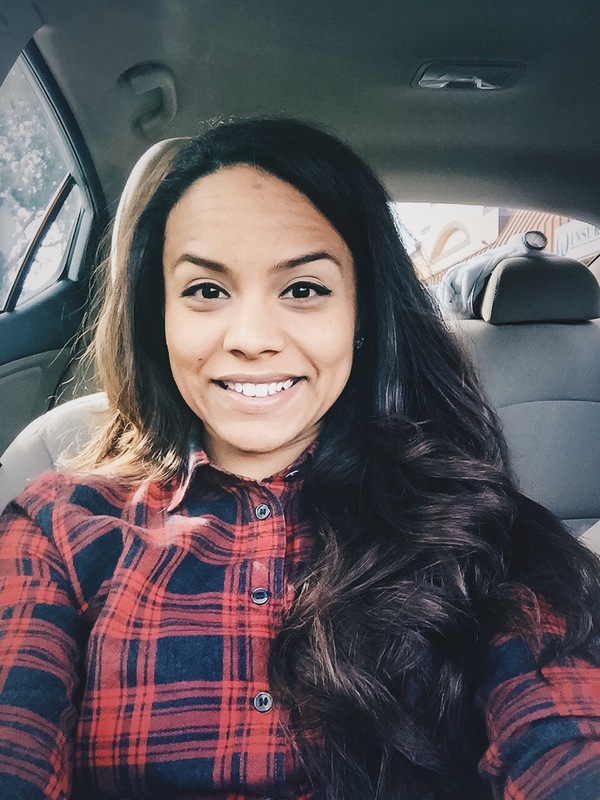 Most of you know that I adore her and she keeps me going and wanting to be a better me for her eyes! Our celebrations didn’t stop there..Some games for the day, and a horse cake to wrap up the night. 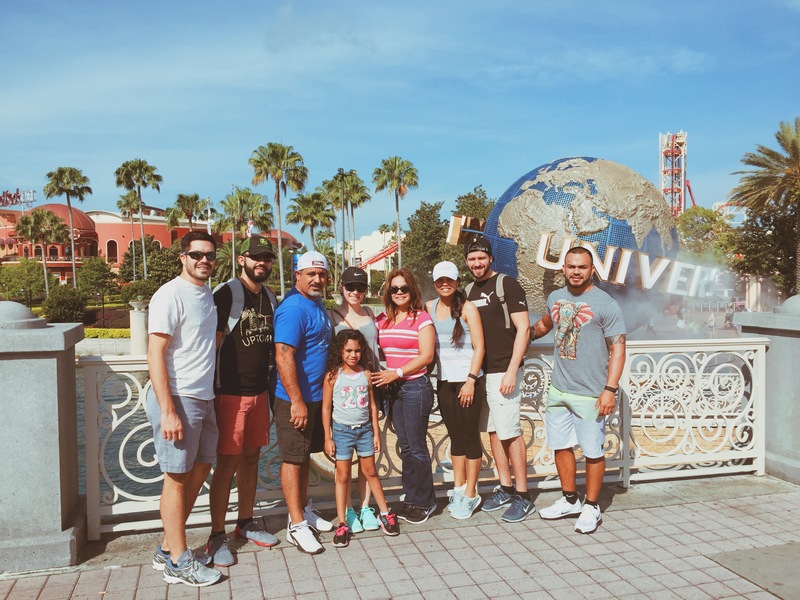 After, came some planning for our family trip to Orlando to keep celebrating with our little Sofia for the weekend. 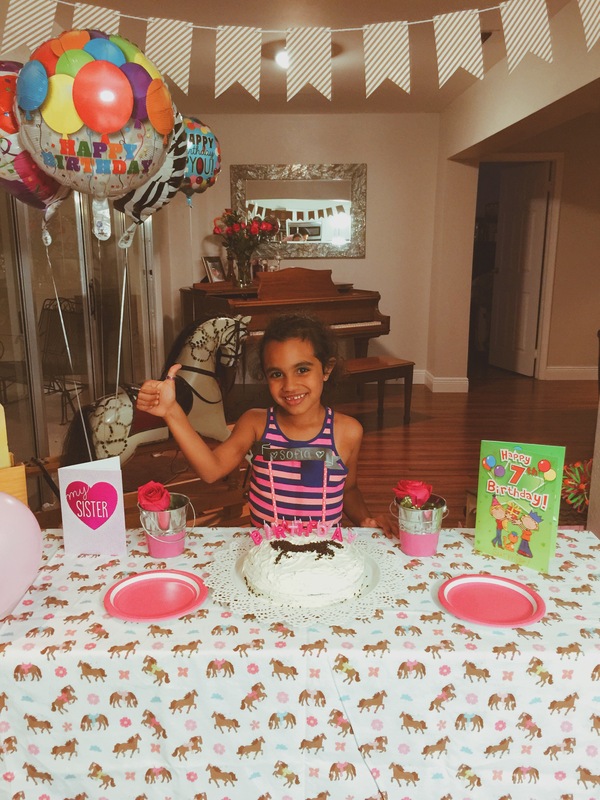 Lets just say the fun continued and its safe to say she had a great 7th Birthday! We all love you Sofia! We all wish you many many more birthdays to come, full of that love, happiness and personality you have. May God continue to bless you! Happy Birthday Little Sister, We all Love you!